For those families that have at least a two-story home, the staircase is typically just used as a practical and functional tool. 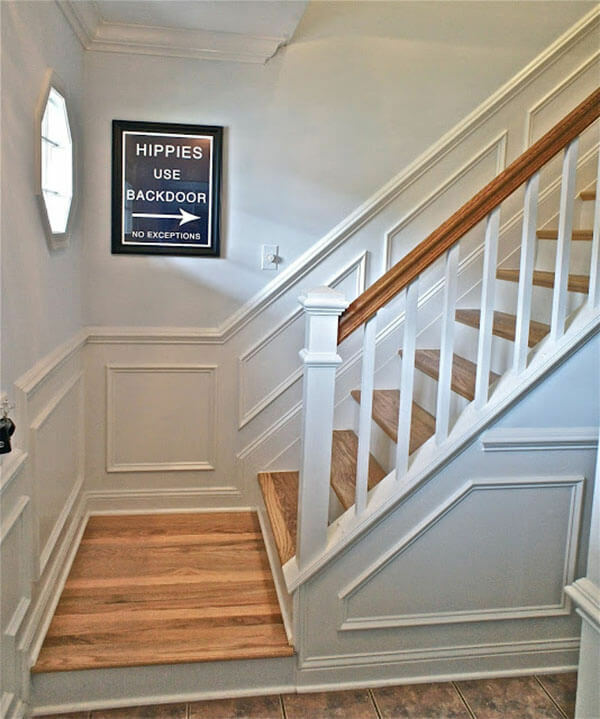 You may not think twice about dressing the area up since you only access it when you need to go up or down the stairs. However, the staircase is actually a perfect location to do a bit of interior design and work some magic. You may not think twice about how your staircase looks, but you can be sure your extended family and friends do. 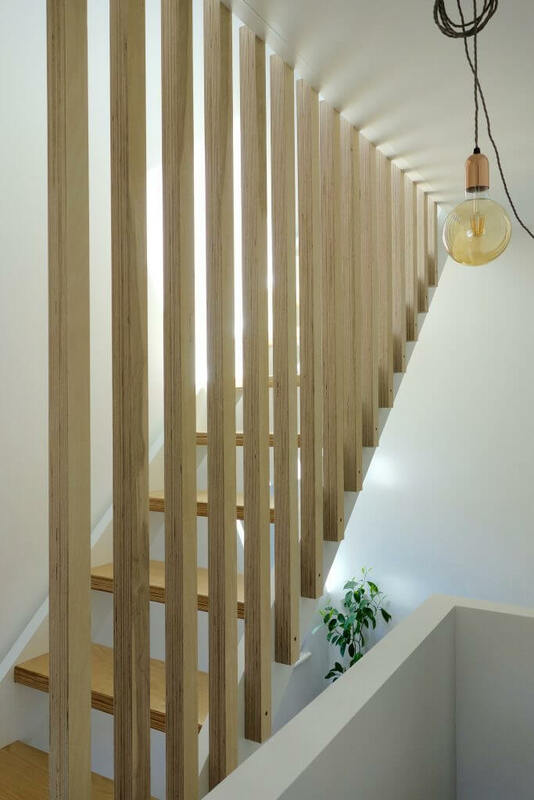 Instead of just allowing the staircase to be a boring, albeit functional, object, why not consider some of these staircase ideas to transform it into something else? Whether you’re looking to add more storage to your home or just want your staircase to be able to tell a narrative all on its own, these ideas will equip you with a unique and stunning set of stairs that could just become a whole new feature in itself. 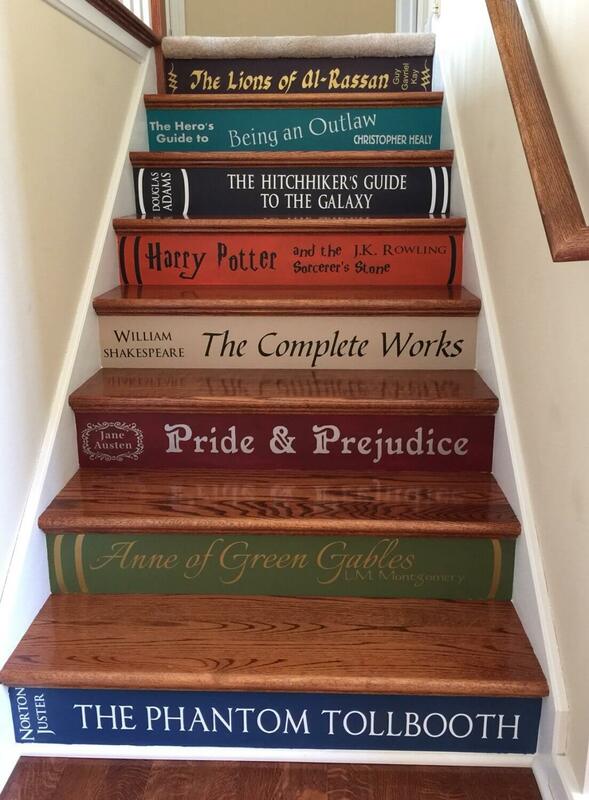 If you or your family are big bookworms, then you can easily show off that love for a few favorite books by painting the stairs to resemble those titles. 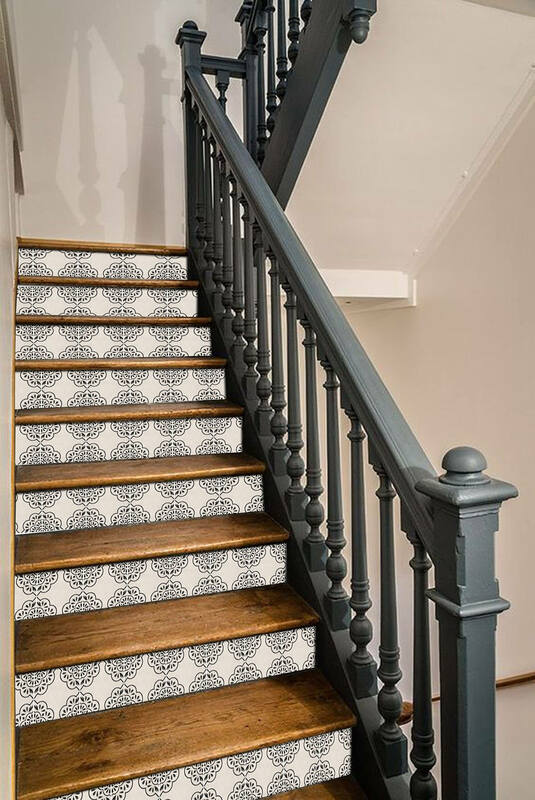 A quick bit of paint is all you need to give your staircase a bit of character. Or, in this case, quite a few characters. You don’t need to rely on just your library to show off your love for books here. Sometimes simplicity is underappreciated. Keeping with cool and natural colors like white and the rich tone of wood, you can create a space that is as relaxing as it is functional. 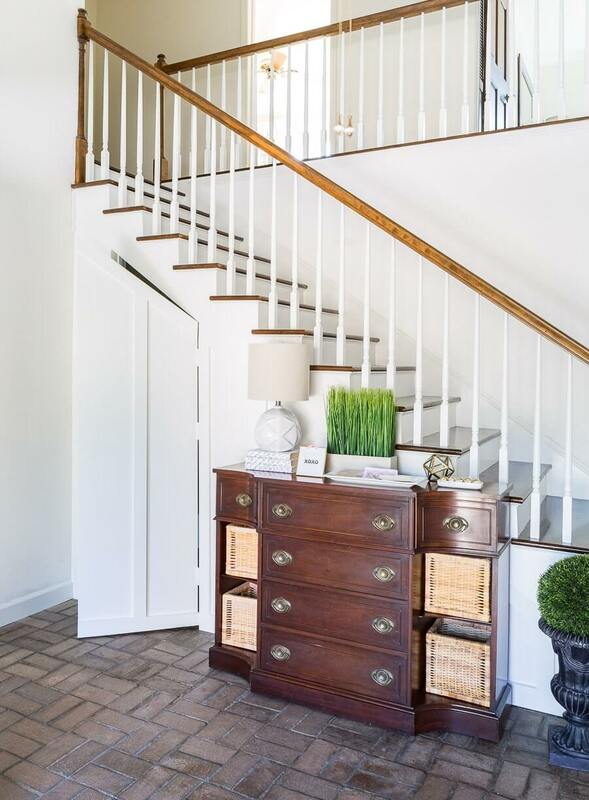 The steps can be a beautiful polished wood to match with the landing all while the rest is painted a stark white that makes the wood pop. For those don’t want to have the supports for their stairs to be just blank, one cool and interesting choice you might make is to add a backdrop. You can easily tie the pattern in with your railing to make the staircase one cohesive piece. 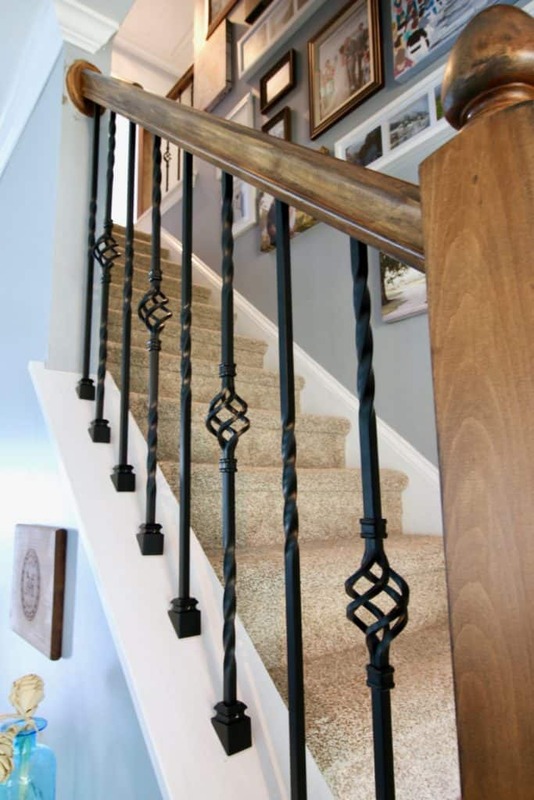 Dark colors like black or dark grey for the railing can make your staircase appear bold. Another popular idea among staircase ideas is to attach a carpet to the staircase. Not only does this make the staircase safer to use, but it can also make it look more regal. Match the carpet with the aesthetic of the rest of the home to really make sure everything matches and flows well together. If you’re someone who tends to count steps as you climb, then you can actually make that a piece of art. Inscribe on your steps a number as you count up. A dark color backdrop against a dark, rich, wood for the step makes the staircase look elegant and even industrial. Couple it with a white railing as an offset to create an eye-catching design. No matter what the trend, the careful mix of natural wood and industrial metal just never becomes tacky. This is a unique aesthetic you can reply to your staircase by having a wooden banister atop a metal railing. Have fun with the actual railing, too. Instead of choosing the traditional straight-lined rods, why not choose one that has a unique design in the middle? Sometimes there’s nothing more picturesque than a staircase painted right. You should be sure it matches with the rest of the house as well, otherwise, it may look like an eyesore. Keep the walls of your home light with a dark floor to offer a soothing atmosphere. 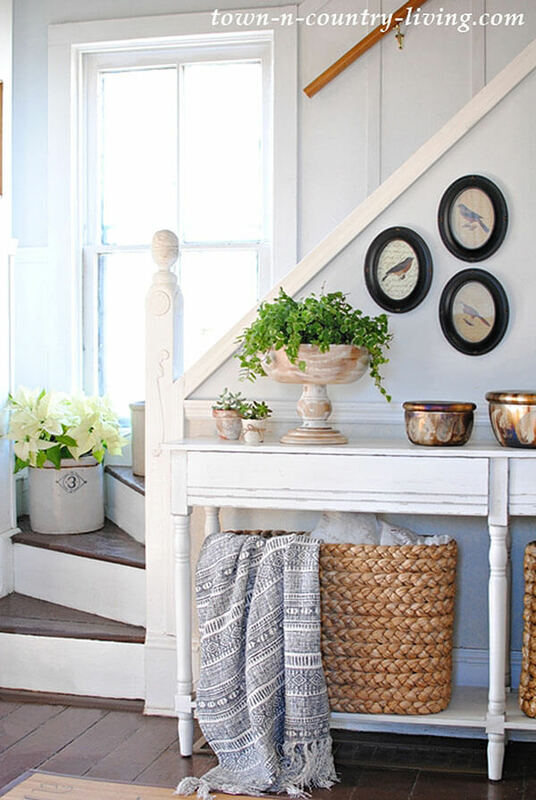 Match this with your staircase to further enhance that atmosphere and add a few props like plants and dark-framed pictures to bring it all together. Too often, a home or staircase can feel cold. A good way to warm the area up is to add natural wood. 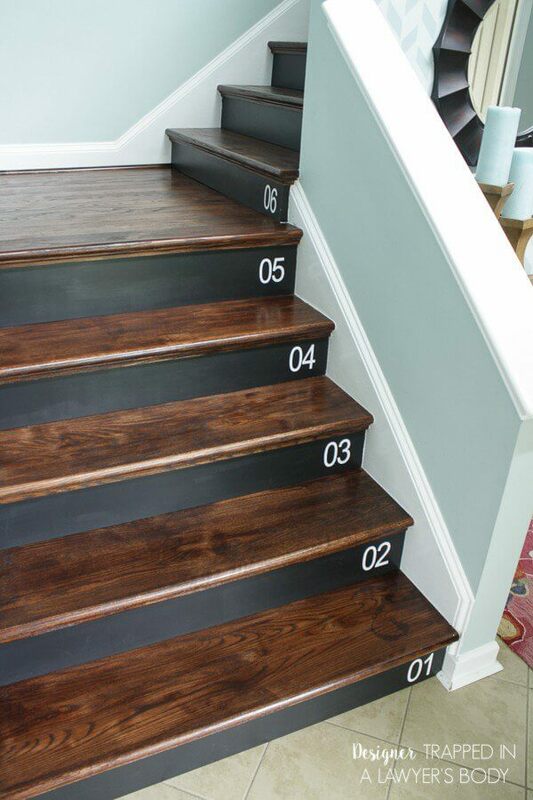 The steps of the staircase can easily display wood, but what about those railings? Try a unique railing of thin wood rails to create your own form of a forest. One extremely unique choice for staircase ideas is to remove the railing entirely. To keep people from wandering too close to the open side of the staircase, add in potted plants that rest on the edges of the staircase instead. It makes the place warm and adds some fun color, too. 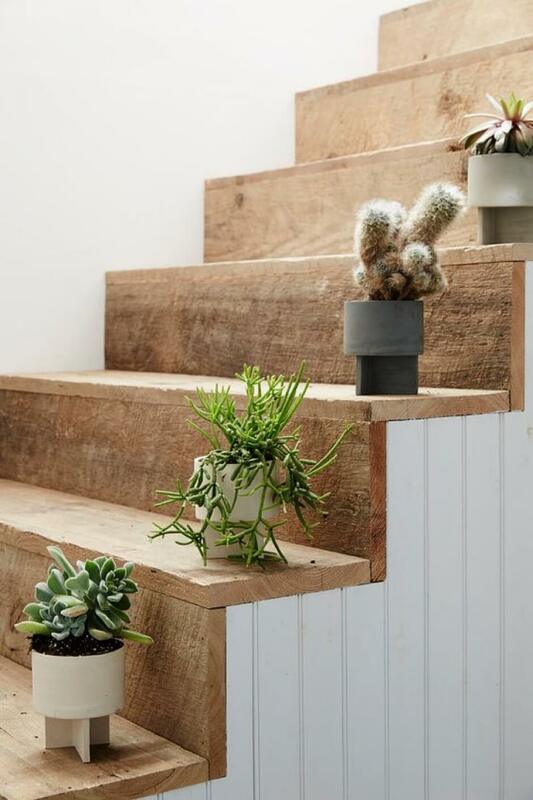 Have the steps be natural wood to increase the aesthetic. If you want to hide your railings while still having a railing, then you might want to make them as thin as possible. Painting them the same color as the walls is another excellent way to mask their presence. 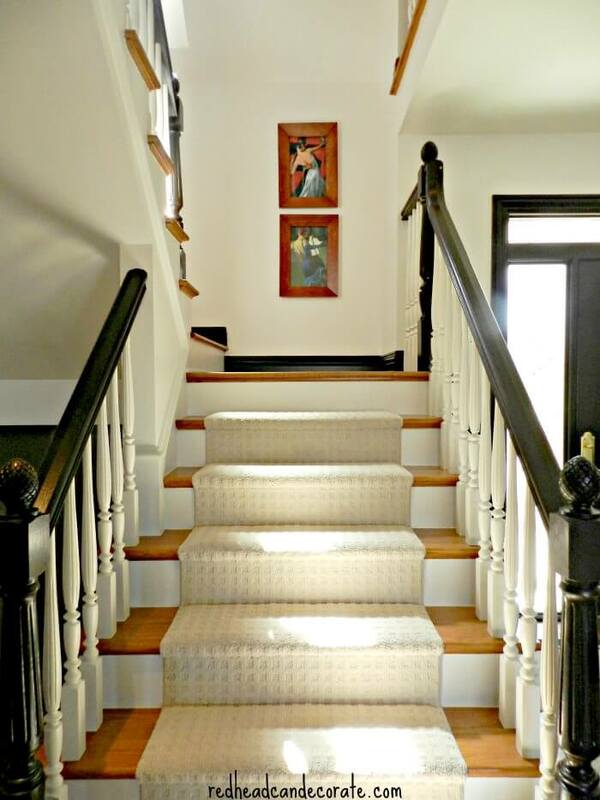 Use a dark-colored banister atop it, and you can create an illusion that your banister is floating. If you want your staircase to be considered grand, then not only do you need to perform the color selection correctly–always have a bold color be it on the steps or railing–but you need to include a feature. On the landing, add in a portrait, statue, desk, whatever you want the feature to be. The eyes will be immediately attracted. To make a space almost ethereal, you can use the bright and natural light of a window to do most of the work for you. 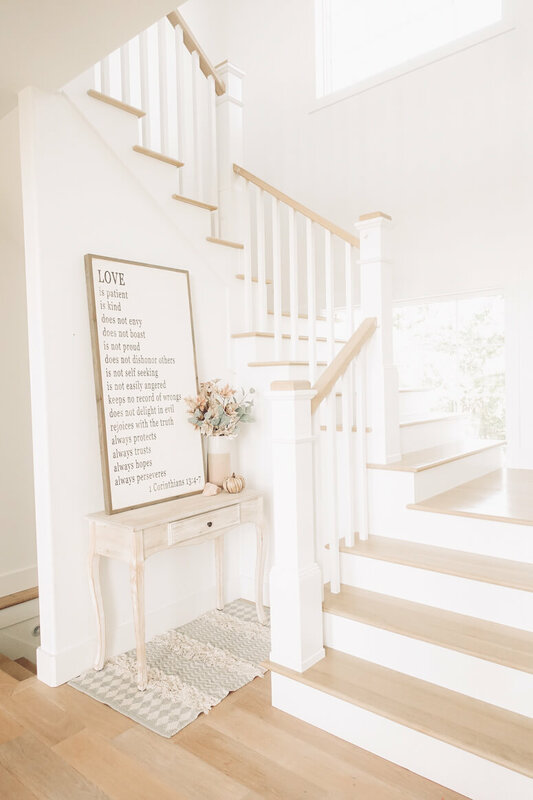 By adding in bright colors for your staircase and light natural wood for the steps, you can let that natural light do its job. Your staircase will practically glow every day.